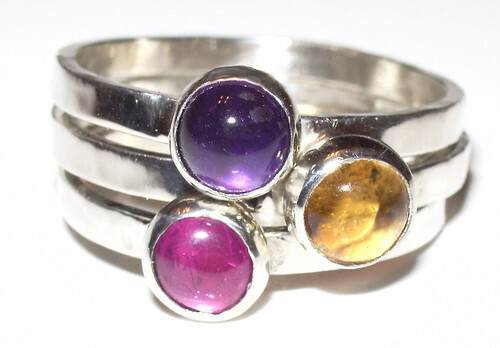 Birthstone Cabachon Rings, originally uploaded by Silversmyth. Just finished these stackable rings this evening. They are stacked up but not fused together so any number of color combinations could work. These would make a fabulous Mother’s Day gift. These look like candy and make me really hungry for jelly beans for some reason… I know there’s an Easter basket around here somewhere!